Your free copies are waiting! 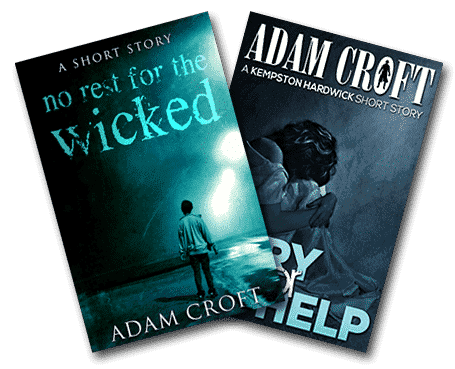 You can now get FREE copies of two of my short stories, A Cry for Help and No Rest for the Wicked direct from this site. Just click the button below to get yours. “Adam Croft is one of the best new writers in Britain.” — Stephen Leather, author of the internationally best-selling Spider Shepherd thrillers. “Adam Croft’s work contains all the essential mystery elements — enjoyable characters, fascinating locations, clues galore, and an ending you don’t see coming! Kempston Hardwick has joined the ranks of the best-loved fictional British detectives.” — Stephen Booth, author of the internationally best-selling Cooper & Fry crime novels. “Quirky and different. Make sure your sense of humour is firing on all cylinders!” — Lesley Cookman, author of the internationally best-selling Libby Serjeant mystery series. 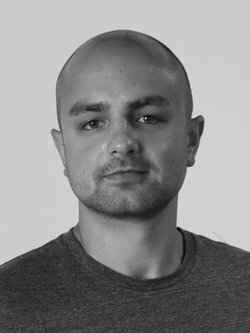 Adam Croft is a British author, principally of crime fiction, best known for the Knight & Culverhouse series of crime thrillers set in the fictional town of Mildenheath and the Kempston Hardwick mysteries. His work has won him critical acclaim as well as three Amazon bestsellers, with his Kempston Hardwick mystery books being adapted as audio plays starring some of the biggest names in British TV. His books have been bought and enjoyed all over the world, and have topped a number of booksellers’ sales charts. Get your free books today!